Kathleen is a therapist with over twenty years experience using movement and somatic experience to work with children, adolescents and adults. Kathleen began her professional career working inpatient psychiatric for children while completing her first Masters degree in Dance Movement Therapy, from California State University, East Bay. Kathleen completed a Masters in Social Work from Portland State University in 2013. Her clinical work combines a deep understanding of attachment theory, neurobiology, developmental theory and trauma informed practice within a social justice framework. Kathleen’s career includes a variety of therapeutic settings with both voluntary and involuntary populations. She has worked in settings ranging from community mental health, residential treatment, wilderness therapy, community home based programs and state sponsored parent child therapeutic reunification programs. While completing her Masters in Social Work, Kathleen was honored to work in a voluntary inpatient treatment program for combat veterans diagnosed with PTSD. She used movement based methods incorporating Tai Chi into the daily routine of the veterans. She holds a firm belief that movement is the medium for change in our emotional and physical states of being. Kathleen has woven nature and wilderness into her career throughout the years. Nature and outdoor experiences ranged from wilderness therapy with involuntary adolescents, intensive single family outdoor adventure therapy and nature for therapeutic relationship building in home-based service programs. Currently Kathleen is working with a community- based non-profit organization to develop and implement a program for the Department of Human Services to address the relational needs of children in foster care. Kathleen’s interest in the science of early child hood development and infant- parent psychotherapy have deepened her conviction that healthy communities start with the development of healthy brains and relationships. Kathleen is passionate about child development and movement -based therapeutic methods. She presents educational material drawing from a wealth of clinical and practical experience. Her genuine enthusiasm, diversity of practice and social work experience provide learning that is stimulating and emphasizes the individual’s interactions with the systems in which one lives. Kathleen balances her academic and clinical work with a plenty of personal movement and nature. Kathleen has been dancing since the age of four years old. She has practiced Ballet, Modern Dance, West African Dance, Capoeira and Tai Chi. 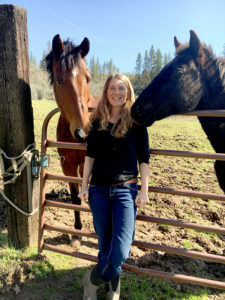 Kathleen can often be found dancing with nature while surfing or trail riding, which engages her longstanding passion for horses. This training is helpful to anyone working with and caring for youth- especially in the outdoors. The theory and skills provided have made me feel more prepared and better equipped for the work I do. The CFR is a great training to gain a deeper and wider understanding of how, when and why we do what we do in wilderness therapy. It offers theory as well as practice to increase staff’s understanding of the therapeutic aspect of the program. I would highly recommend it. This was the single best training that I have ever been to in my 15 year career! The content presented was directly applicable, balanced and well-supported, and the presentation itself was enjoyable, fluent and masterful. Not only would I recommend the CFR to any of my colleagues, I would require it. ​I believe this training​ ​should be necessary for anyone in a clinical position. The tools provided are extremely helpful and could be beneficial for anyone in and out of ​the field. I also think it should be necessary and mandatory to take this training as a wilderness field guide. Sandy and Scott have such an amazing wealth of knowledge to share. At first I was concerned that this training was going to be more geared to wilderness programs and not as helpful for residential programs. I was pleasantly surprised and benefited immensely from the training. It served many purposes: insight with new and fresh ideas, abundance of tools to bring back for myself and my staff and it provided validation for so much of what I do- and who couldn't use a little more of that in this work. Thanks so much! What was taught is invaluable to our front-line staff. As a clinician, I learned several new approaches and ways to better communicate what I'm doing. It was a fun learning environment that I definitely would want to attend again. It hits the mark over and over... I wish all of my colleagues were able to attend—they missed out! I am so excited to share information and ideas that I received from this training. I am going to highly recommend that all of our Head Staff attend the CFR! This training is so informational and will challenge you in a very professional way. No matter how much previous training you have, you will gain self awareness and acquire tools to add to your tool belt: an awesome experience! The CFR was extremely valuable and directly applicable to our field and jobs. The instructors' commitment to the participants' competency and success was felt throughout the training. Their inspiration motivates me to not only be a better guide and leader but a better human being. The CFR training gave me a framework to apply the skills I already had, plus many new skills, in a more intentional and effective way. One of the most practical and informative trainings I have ever attended. The instructors delivered the content in a very expert and accessible manner. I enjoyed the combination of the lecture style entwined with experiential initiatives and practice sessions (i.e., scenarios) that really helped solidify the knowledge learned- excellent program and facilitators. Very beneficial regardless of experience level in the field. Information can be applied at any level and/or facility…Thank you for a renewed passion to teach others, increase my own knowledge and expertise, and most importantly, elicit change in ‘unchangeable’ youth. Great information, great instructors and great program! I would certainly recommend the CFR to anyone working in a therapeutic setting of any kind. Do it! I learned so much about myself and my profession…The expertise exhibited by the trainers is enough to gain an abundant amount of confidence. I’m very thankful for the opportunity and for the people who put such a useful training together. This training is an invaluable tool for anyone working in the adventure therapy industry…I know this training will help me feel more competent to do a job I love. Both Scott and Sandy brought their expertise, experience and overall practice to the course and made us feel better equipped to head back to the field. The scenarios, initiatives and discussions were most helpful. The training provided easy to recall acronyms and phrases that make complex clinical topics more useable in the moment. CFR has been an enormous help in adding depth, breadth and sophistication to my skills as a guide. Reinvigorating! ©2019 Peak Experience Training, LLC.